Former Bison offensive lineman Geoff Gary at a press conference on Jan. 30. 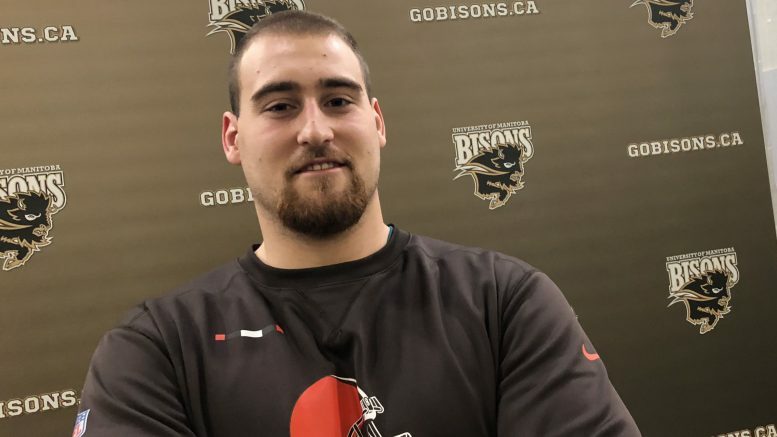 The former Bison offensive lineman and current Cleveland Brown, Gray has returned to the University of Manitoba to finish his bachelor’s degree in mechanical engineering. “I’ve spent five years on [my degree] beforehand, and with engineering there is a clock on it,” he said. Gray said the U of M has been accommodating of his schedule, and since there is technically a time limit on when he can finish his degree, he’s better off completing it now rather than later. In April of 2017, Gray was signed to a contract by the Green Bay Packers, kicking off a whirlwind rookie season. 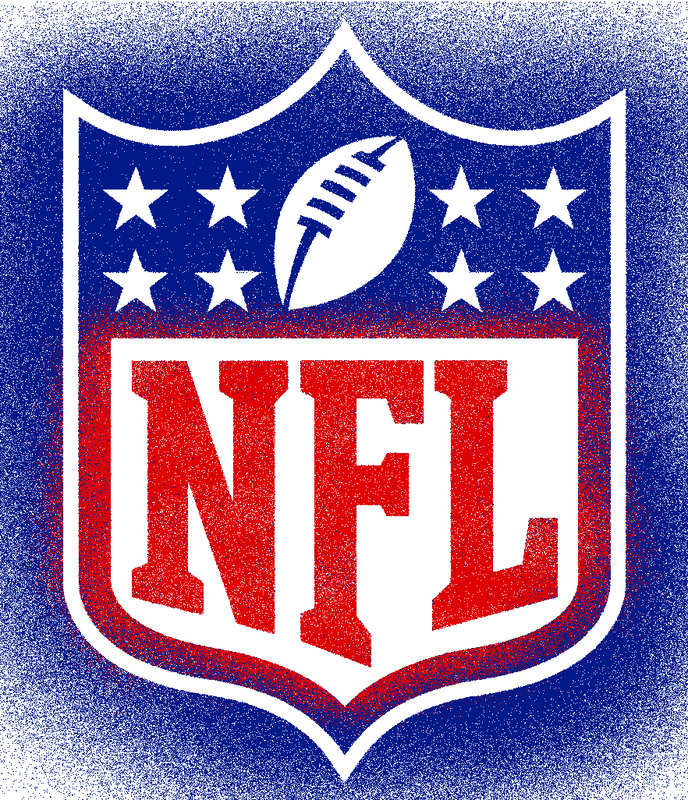 Gray did not make the cut with the Packers, but signed on to the New York Jets practice roster in September. Just before Christmas, he signed with the Cleveland Browns. Even though he did not play in the final three games of the season, he said he is in a good spot for next year. “I’m happy where I ended up in Cleveland and I think I have a good position with them going into next year to make the active roster,” Gray said. Gray said he had a positive experience with each team, but the best food was in Green Bay. “They just had massive kitchens, the best quesadillas I’ve ever had. They had a good smoothie bar,” he said. Gray is fan of Mexican dishes, and said he is better at making fajitas than many places in Winnipeg. “I think the best fajita I’ve had in Winnipeg is from myself,” he said. Offensive linemen spend a lot of time eating, and, by extension, cooking. Standing at six-foot-five and weighing in at 315 pounds, Gray is no exception. “This past year I did even better in school and in football, so I was recognized for excelling at both,” he said.